Just What Does the Holy Spirit Do? 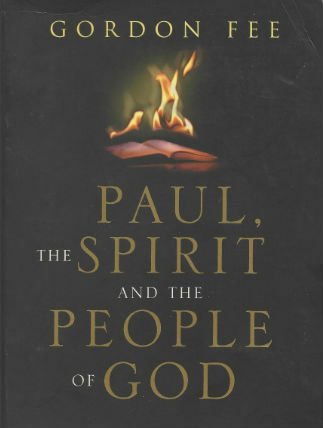 Noted expositor Gordon Fee argues against modern-day distortions of the role of the Holy Spirit. The Canadian writer James Packer was not overstating the case when he intimated that the average Christian has no more idea about what the Holy Spirit does and its importance in the Plan of Salvation than does the man in the moon. The psychologist William Kirkpatrick was also right when he said the Nature of God is an issue at least as complicated as quantum physics. But quantum physics – let’s face it – is ultimately fascinating. So too for many Christian teachers is the role and activity of the Holy Spirit. Let’s meet again the Holy Spirit as the never-failing mediator of God’s presence and power to us very human beings, the key link between God and us in the process of salvation. “So Samson went down to Timnah (and) a young lion came roaring against him. And the Spirit of the Lord came mightily upon him, and he tore the lion apart as one would have torn apart a young goat” (Judges 14:6). “And the Spirit took me in a vision by the Spirit of God into Chaldea…So I spoke to those in captivity of all the things the Lord had shown me” (Ezekiel 11:24). The Godhead being indissoluably forever One in being explains such possible enigmas as Jesus described as the Spirit in 2 Corinthians 3:17 or Christ himself being awarded the title Comforter (I John 2:1 or “Advocate”). But Jesus himself applied this term more directly to the Holy Spirit (John 14:16, “another Comforter”). Theologian Tom Oden discussed the different roles and activities accruing to the Son and the Spirit. Just as the Father had sent the Son on his decisive mission of redemption, so the Son sent the Holy Spirit as the Comforter, Helper or Enabler to indwell us forever (John 14:26). Through the Spirit’s empowering Presence the Father and the Son take up residence inside us, working out our salvation as we yield more and nore to his lead. The Spirit is that silent, intangible but growing Presence that reshapes our hardened attitudes from within. In Christ we see our pattern of obedience and learn of God’s forgiveness through the spoken Word; by the Spirit we are enabled to reshape our natural human responses and learn to radiate good will outwards according to the pattern of God’s love toward us. And so, the Gospel not only proclaims the message and work of Christ our Savior but calls us to die to self and then to live to God in the power of the Spirit. And that is why we say with St. Paul that we live in the Spirit (Romans 8:9). “So that from Jerusalem and round about to Illyricum I have fully preached the gospel of Christ…in mighty signs and wonders by the power of the Spirit of God” (Romans 15:19). Biblically speaking, when the Spirit of God appears on the scene, stand back! Great things are afoot! Miracles, signs and wonders, power to move men to battle, inspiration to perform single-handed feats of skill and combat, and even to raise the dead on some occasions. More often for New Testament Christians the Spirit conveys the power to understand the deep things of God, things that lead to repentance and faith and, eventually, the abundant life (1 Corinthians 2:10). Thus the theme of the Holy Spirit of God sizzles with vitality, power and relevance! It is in fact, one of the most exhilirating teachings in Christianity. In the New Testament church it is the Spirit that leads and guides us and makes possible the working out of our salvation. He flows out from the Godhead to us, deepening our understanding of the Son’s work for us and conveys back to God our human response. This is the crucial link that will stay with us through our earthly pilgirmage in the flesh. In the 1600s the Bible teacher John Owen wrote effusively about this subject. His insights can be blended with today’s updates as we go along. 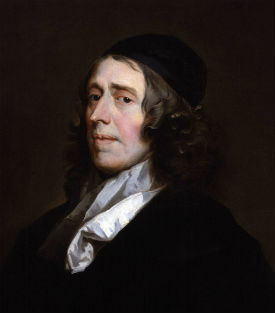 The prolific John Owen (1616-1683), respected educator, statesman and theologian, drove home the importance of the Holy Spirit in the Christian life. Owen reminds us that the Holy Spirit or the Comforter was a legacy from Jesus himself bequeathed to His sorrowful disciples on his last night on earth. “And I will pray to the Father and he will give you another Helper that he may abide with you forever, even the Spirit of truth…” (John 14:16). Thus, in Jesus’ teaching, The Spirit is and was integral to finishing the Father and the Son’s work inside us. “By the Spirit alone is the Grace of Christ and his graces communnicated to us,” writes Owen in his precise 1600s style. These include love, joy, peace and the whole panoply of Christian virtues planted in us through the living seed of the life-giving Holy Spirit (1 Peter 1:23). Remember, the first time we meet the Holy Spirit is back at creation in Genesis 1:2. He is the Spirit of Life who moves later to ignite our spiritual lives (John 6:63). By Him we are renegerate, born again “of the Spirit.” This new birth brings about the gradual renovation of our evil nature over time, not unlike a hearty plant poking through the roughest soil (John 3:6; Romans 8:9). By Him we are sanctified – set apart for the work God has for us (Romans 15:16). By Him we are cleansed and what a joyful and especial gift that is (Psalm 51:10-11)! When the young virgin, Mary, was told that she would conceive the Messiah, this strange and miraculous impregnation was effected by the life-giving work of the Spirit. As it says, “the Holy Spirit will come upon you and the power of the Highest will over-shadow you” (Luke 1:35). Once again the Spirit is the Spirit of life and in Nazareth came his masterpiece – the Son of God, Immanuel himself, to walk among us in the power of the Spirit (Luke 4:14). Through the activity of the Spirit the human nature of Jesus was endowed wth all those extraordinary powers and gifts necessary for the exercise and discharge of his vital work here on earth. The discovery of force fields helped us understand how the Spirit works and may even have led avid Bible reading/scientists to look into the possibility. The Holy Spirit led Jesus into the wilderness for his time of training (Luke 4:1) and by a peculiar and inexplicable (to our minds) work he raised Jesus from the dead. Jesus was “declared to be the Son of God with power according to the Spirit of holiness by the resurrection from the dead” (Romans 1:4). Note all three aspects of the Godhead at work here, God, the Son and the Spirit. This is the best and most Biblical way to explain the threefold working of God, the Holy Trinity as we call it. But in raising Jesus, the Holy Spirit, which glorified the human nature of Jesus to fit it for his returrn to the right hand of the Father, also set forth a pattern for our glorification as well. We will be like Jesus our older Brother eventually (1 John 3:2). That is the Christian destiny. But we receive already in our mortal bodies that earnest or “down payment” of that future state by the Holy Spirit (Ephesians 1:14). The vast majority of Christian see this as the hinge upon which the whole weight of our salvation turns and depends. All of our acceptance with God the Father depends on that taming, transforming, and recreating work of the Spirit from deep within us. It is this Guide and Helper who leads us to repentance and then slowly shapes us into the image of Christ making us acceptable to God. A Force or a Person? In writing here of living and dynamic force fields to better explain the working of the Holy Spirit we must be careful not to fall into the trap occurring across Christian history that the Spirit is a force God uses and not a person. As Christian theologians have understood, the finite mind cannot infallibly express the infinite. Remember, the only way we limited human beings can speak of the great and invisible God is by way of analogies. Even the disciple Jesus loved most had to employ a well-known Greek philosophical term, the Logos, to explain Jesus’ work as very God. To the Greek mind, the Logos is that which held everything together to guard against chaos (John 1:1-11). Even the Biblical terms “Father” and “Son” are human extrapolations or substitutes to help us understand the workings of the Godhead. Thus, when it came to the Spirit and his dynamic all-pervasive powers, Bible writers were forced to use terms such as fire, wind, moving water, breath, mother-love, etc. While it is a truism to state that human language can only go so far in expressing the Nature of God, we must appreciate God’s desire to reach out to us. We are on more certain ground regarding the Spirit’s personhood when we read in the Old Testament that the Holy Spirit can be grieved (Isaiah 63:10), that the New Testament shows the Spirit has mind power (Romans 8:27) and that He speaks authoritatively to the Church on matters of life and death (Revelation 13:14). Through the Spirit, Christians are challenged to stay open to fresh inputs from His Word and to follow his lead. With his help, this we will do. There it is: a completed circuit “in its own field.” In Owen’s time, the 1600s, Sir Isaac Newton showed how the invisible force field of gravity “worked upon” the earth, the planets and all the known universe. 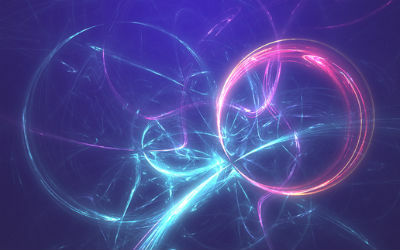 Early 20th Century physics moved beyond this by expressing the hidden powers of nature not as “standing over against” material objects in Newton’s terms but connecting all matter within powerful force fields. This insight was forced upon us through the discovery of electromagnetism, the strong force in the atom, or the billions of invisible neutrinos bombarding us every second and the omnipresent, unstoppable properties attaching to radioactivity, x-rays, radio waves, and the like. In all this the Holy Spirit is central. Theologians write of this “self-effacing nature of the Holy Spirit” by which the Godhead brings the gift of God’s very Presence home to us. In this way we move from our natural alienation from God into real communion with him. It is indeed a dynamic circuit as Isaiah 55: 10-11 intuited. In all of this the Holy Spirit is key for “we all are being transformed into the same image from one degree of glory to another…through the Spirit” (2 Corinthians 3:18). Through the invisible workings of the Holy Spirit Christians enjoy an exceptionally dynamic exchange of godly attributes, “for the Spirit searches everything, even the depths of God” (2 Corinthians 2:10). The Spirit moves in and among human beings as an invisible but supremely powerful agent implanting within us those godly attributes of love, power and sound-mindedness which enable us to live successfully in this world (2 Timothy 1:7-8)? Just like a radio announcer is in one spot but reaches us through the waves of the air, so the Godhead reaches us through the dynamic activity of the Holy Spirit sent from heaven and back again to intercede at the throne of God for us (Romans 8:26-27). Thus God communciates his love and power to us through the ministry of the dynamic Holy Spirit, the same Presence which strengthened Samson, enabled David to win victories, write the Psalms and the One who stirred the Prophets (2 Peter 1:21). The Bible describes “the mystery of godliness” and it is, but one we are encouraged to seek out. Those “more real than reality” entities described as the Father, Son and Holy Spirit, the basis of all existence, these distinct but unified actualities are intimately involved in our salavation through the Holy Spirit. By this process Christians are made “partakers of the divine nature” (2 Peter 1:4). This is the Lord’s doing and it is marvelous in our eyes.